Missing part of a wing didn’t slow this Dragonfly down one bit. He performed the usual lift off, turn and resettle routine on this stick at the edge of a pond-side dike several times. 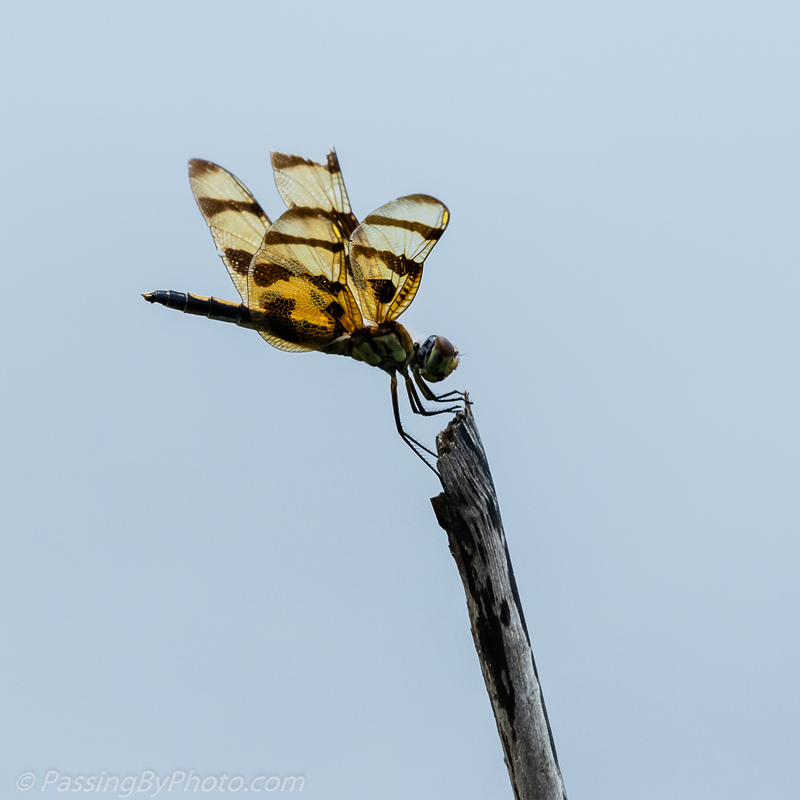 A little further along the dike I spotted another Dragonfly with a wing tear. These insects are so delicate it is easy to imagine scenarios that would leave them damaged. 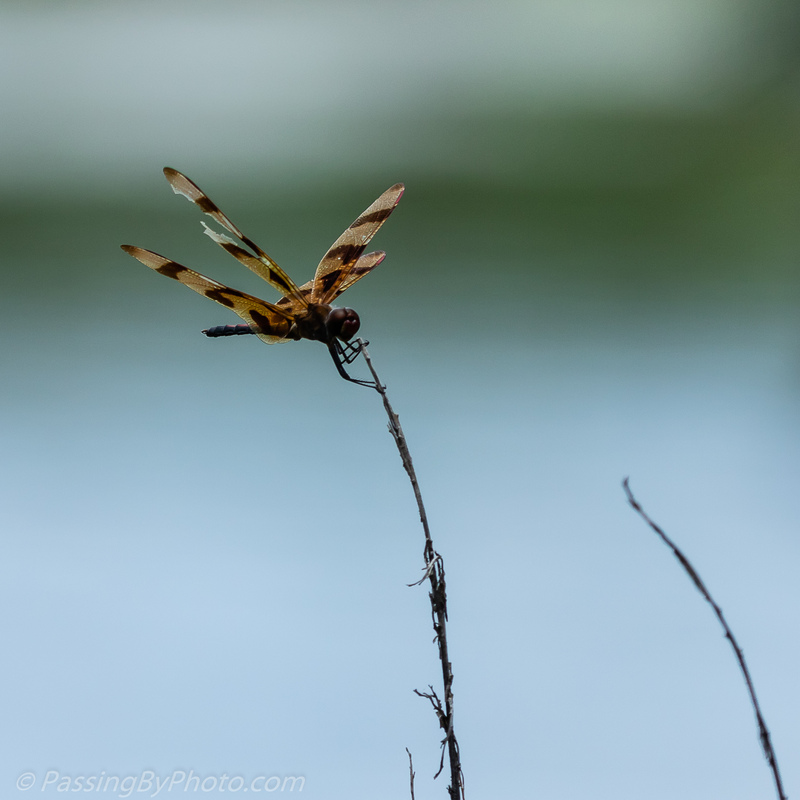 Beautiful shots, Ellen, of what look to be Halloween Pennant dragonflies. As we move through the summer, I see more and more butterflies and dragonflies with damaged wings. Somehow they still manage to fly remarkably well.. Thanks, Mike! I suppose there is some amount of damage they can’t overcome but these two sure weren’t having trouble getting around. Lovely photos which tell a story, too. It’s amazing how it can still fly so well with a ravaged wing. Thanks, Pete. I know, I guess they learn to compensate pretty quickly, or become someone’s lunch. Lovely shots, such resilient creatures.